Club Penguin Cheats by Mimo777 Club Penguin Cheats by Mimo777: We Broke the Borad/Answers/Questions! 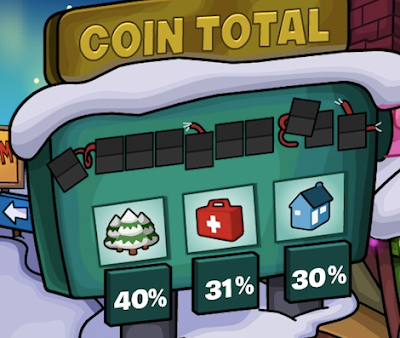 Have you noticed that the Coins for Change borad on Club Penguin is broken? WE did that! Because of everyones awesome donations, we broke the numbers! So awesome! What new penguin styles would you most like to see this year? Tell 'em in the comments! And they’ll feature one of your answers. If you’re picked, you’ll receive 10,000 coins! mimo there is new years fireworks in front of the bakery in the sky. I donated 5,000 coins to environment. :) Environment got way more money than all the other categories.